Our outreach programs continue to be the driving force for the organization. This past Christmas we continued a tradition by sending gifts to Marines and their family at Walter Reed National Military Medical Center in Bethesda, Maryland. We also paid for small outings for the warriors we serve at the Liberty Center in Balboa in honor of the Marine Corps Birthday. You can read more in our first article. 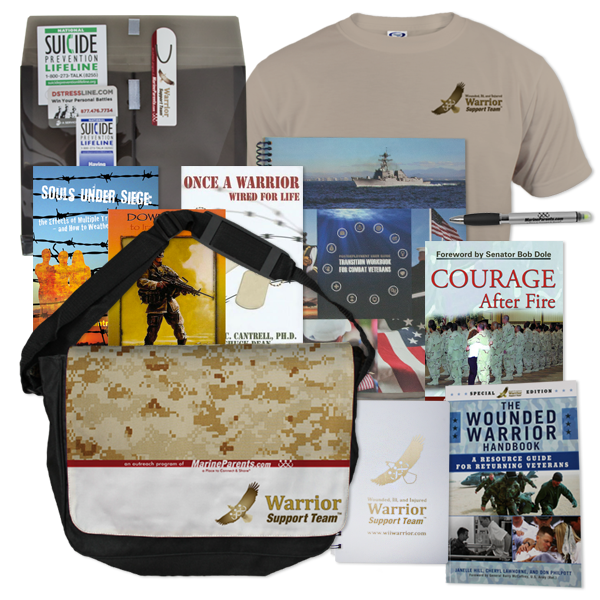 Also in this newsletter, you can learn more about combat marksmanship at the School of Infantry, read about contacting the Red Cross in the case of a family emergency, and learn about our Warrior Reintegration Bags from the Warrior Support Team. 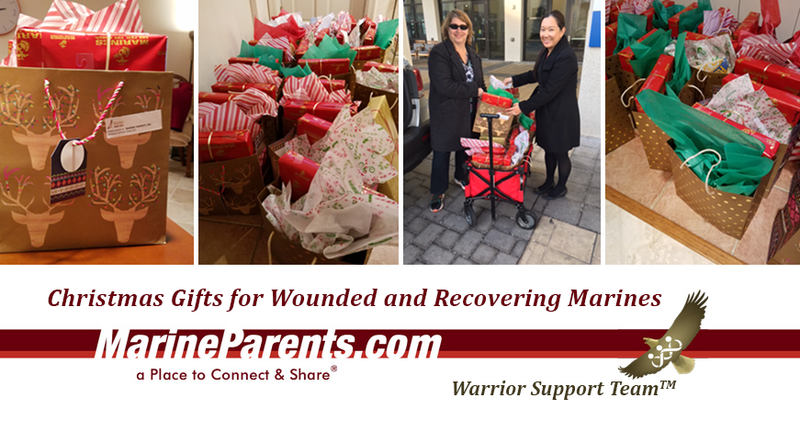 This past Christmas season MarineParents.com's Warrior Support Team (WST) on the East coast continued the tradition of giving holiday gifts to all of the Marines at Walter Reed National Military Medical Center in Bethesda. Gifts were given to inpatients, outpatients, and their spouses--thirty-one in all. Staff at our corporate office in Columbia, Missouri, assembled gift boxes that included a Kindle Fire for each adult, a Christmas ornament, holiday cards, and socks. Two of our WST East volunteers, Mary Ann Schilling and Susan Kristol, put these boxes in festive gift bags and added an assortment of cookies, popcorn, nuts, snacks, and candy. On December 19, the volunteers delivered them to the Family Support Coordinator at the Marine Liaison Office at Walter Reed. Our volunteers were able to see a few gift bags being delivered in person as Marines stopped by, one with a spouse, another with his father accompanying him. They were extremely grateful. 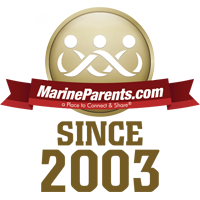 MarineParents paid for 30 active duty members and 14 of their guests to attend these events. Thank you to our Warrior Support Team volunteers for making this happen. These gifts and trips were donated by MarineParents.com and are made possible by the generosity of donors to the Warrior Support Team. If you would like to make a donation, click here. The Marine Corps' primary mission is to locate, close with, and destroy the enemy by fire and maneuver, as well as to repel assault by fire and close combat during amphibious assaults and subsequent operations ashore. 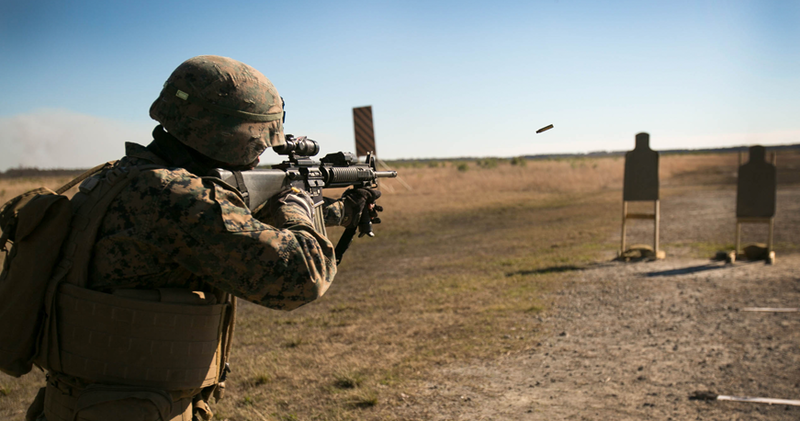 Combat-ready Marines must be skilled in tactics and highly proficient in the use of firearms. If you have a family emergency during your Marine's deployment and feel you need to contact the Marine, your best course of action is to contact the American Red Cross.